Read this story on Oceanus Magazine. This research was funded by a National Science Foundation Coastal Science, Engineering, and Education for Sustainability grant. Bryce Corlett was also supported by a Hudson River Foundation Mark B. Bain Graduate Fellowship, The J. Seward Johnson Fund, and the Henry A. Jr. and Elizabth W. Morss Education Fund. Story Image: Shipping channels in harbors around the world have been extensively deepened and widened to accommodate the rampant proliferation of mammoth container ships. 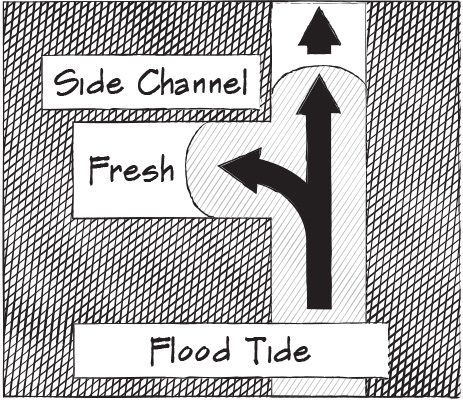 What are the impacts of these changes on tidal flows hidden beneath the surface? Bryce Corlett was born 4 miles from the James River in the coastal lowlands of Virginia and was immediately immersed in both Colonial history and the Chesapeake Bay. He began his career as a snare drummer at the age of 10, starting as a private in the Colonial Williamsburg Fife and Drums Corps. In his eight years with the Corps, he toured the Eastern Seaboard, played for the Queen of England, and appeared at the Basel Tattoo in Switzerland. He retired after reaching the rank of Drum Section Leader and pivoted back to his love of the ocean. This second career has taken him from the chalk cliffs of England to the ice-locked sea of the western Arctic in search of answers to some of life’s greatest questions: How does seawater move from one place to another? 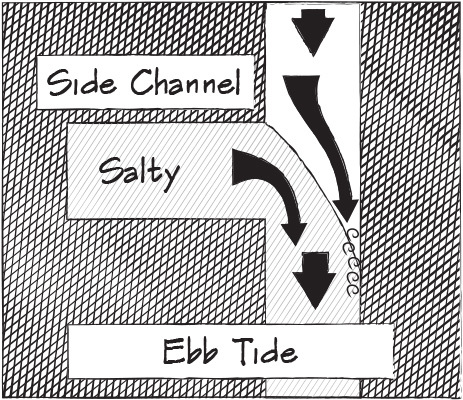 How do engineering projects change natural fluid dynamics? And where can I find a really good cup of coffee? When he isn’t deriving estuarine fluid dynamics terms, or in the field with his advisor, Rocky Geyer, he can be found recreating in, on, and around water in all of its phases.